Honey Harbour Canada is part of Georgian Bay Township and is found on the eastern coast of Georgian Bay. 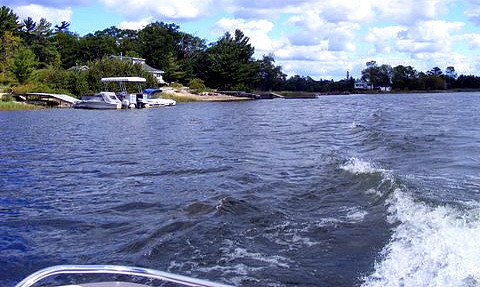 Defined by its scenery Honey Harbour is rustic and ideal for boaters because of the easy access to both the bay waters and in land lake systems. If you like remoteness over a busy cottage town this is the place to visit. One general store and frequent bear sightings make a sharpe contrast to the cottage country our family is familiar with. 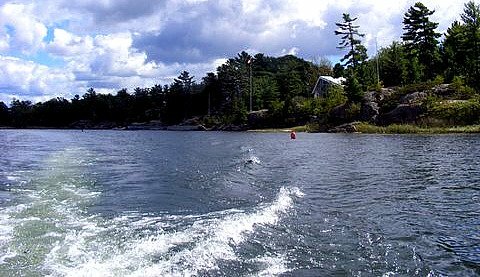 Just north of Port Severn, this area is known to boaters as a gateway to not only Georgian Bay but also the 30,000 Islands and the Trent Severn Waterway that leads into the Kawartha lakes. Some of the attactions in the area include the Georgian Bay Biosphere Reserve that encompasses the largest island archapelego in North American Great Lakes. This area is known locally as the 30,000 Islands and there are many tours available to admire the Canadian Sheild Bedrock and forest. This area is also home to the Georgian Bay Islands National Park. The park is accessable by boat only. The largest of the islands of the National Park is Beausoleil and it has overnight and day docking as well as camping facilities. Don't want to camp? There are cottage resorts on the mainland and the islands. 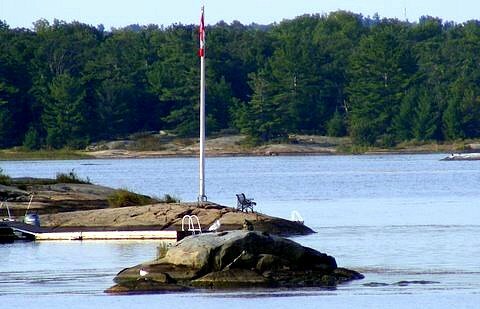 Try family owned Picnic Island which has 8 cottages and 80 campsites. This island even has its own grocery store. Boat cruises are common in these waters. Tour companies depart from a number of different harbours. The one above the "Miss Midland" departs from Midland and tours around the National Park. Looking for trips out of Honey Harbour? Try the Daytripper which runs daily, save Wednesdays, in the summer months to Beausoliel Island. Honey Harbour is found at the south eastern shore of Georgian Bay. Return HOME from Honey Harbour Canada.